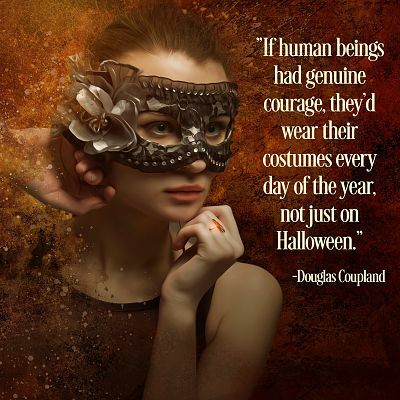 - "If human beings had genuine courage, they'd wear their costumes every day of the year, not just on Halloween." I love this quote by Douglas Coupland. We all wear costumes every single day. But some of us wear briefcases and three-piece suits, and others of us wear the colors of our own imaginations. Decide for yourself who you really want to be.